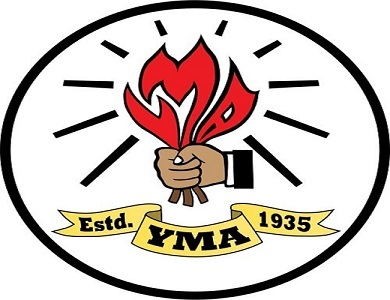 Logo of Young Mizo Association. After Meghalaya and Arunachal Pradesh, it is now the turn of Mizoram to raise voice against tribal women enjoying scheduled tribe status even after marrying a non-tribal. The Young Mizo Association (YMA), the apex youth body in the State, has demanded enactment of a law to ensure that any Mizo woman who marries a non-tribal loses her scheduled tribe status. The YMA raised this demand during the one-day conference of the association in Aizawl on Friday. The association also resolved in the conference that it would soon submit a proposal to the State Government to enact a law to that effect. This was stated in a press release issued by the youth organization on Saturday. Such legislation, if enacted, will take back scheduled tribe status of any Mizo woman who marries a non-tribal, the statement further stated. During the conference, the youth body also proposed to urge the State Government to introduce a bus service between Champhai town in Mizoram and Tahan town in Myanmar for smooth communication of several Mizo families resided there. The delegates of the conference also proposed to take up the matter of implementation of the National Register of Citizens (NRC) in Mizoram. The youth organization during the conference also decided that the YMA would take steps to ensure that traditional Mizo clothes and ‘puan’ (shawl) were patented, the statement also stated.